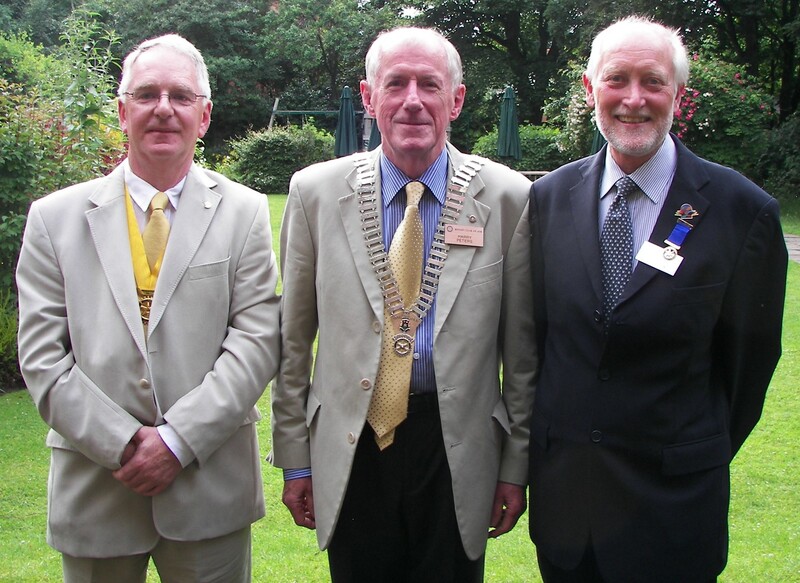 Ayr Rotary Club has a new President. Harry Peters, a son of Ayr, has been elected the new President of the largest Club in District 1230 which stretches from Oban to Stranraer. Harry, a Fellow of the Institute of Civil Engineers (FICE) was educated at Ayr Grammar, Ayr Academy and is a graduate of Strathclyde University. 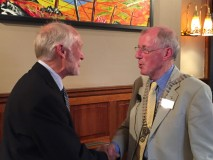 He joined consulting engineer Halcrow in 1969 and retired from them in 2010. His career covered mainly transportation projects in the UK and abroad, including major projects for design, construction and maintenance of roads, motorways and bridges. In 21 years abroad, projects included a strategic road and Blue Nile Bridge in Ethiopia, and the key North-South Expressway in Malaysia. Returning to the UK and Edinburgh, he led the Performance Audit Group which advises Transport Scotland on the tenders for and performance of contracts for the management and maintenance of trunk road and motorways in Scotland. Harry and his wife Joan are now happily settled back in Ayr since his retirement.